Whether it’s a breakfast meeting, training seminar or tech-savvy product rollout, The Hotel Landing offers a corporate gathering spot unlike any in Wayzata. Just 15 minutes from downtown Minneapolis, we specialize in creating events that turn business into pleasure. Our 4,174 square feet of meeting space is ideal for sales meetings, training seminars, cocktail receptions and banquets ranging from five to 226 guests. Under the guidance of our planning and catering teams, your event will exceed your expectations without extending your budget. Allow us to see to everything, from tailored catering menus and room décor to audiovisual setups, discounted room accommodations for your guests and planning assistance for “outside the boardroom” group outings, recreational activities or teambuilding excursions. Located on the mezzanine level, this 601-square-foot venue is adjacent to the Living Room, which may be used for pre-function gatherings. 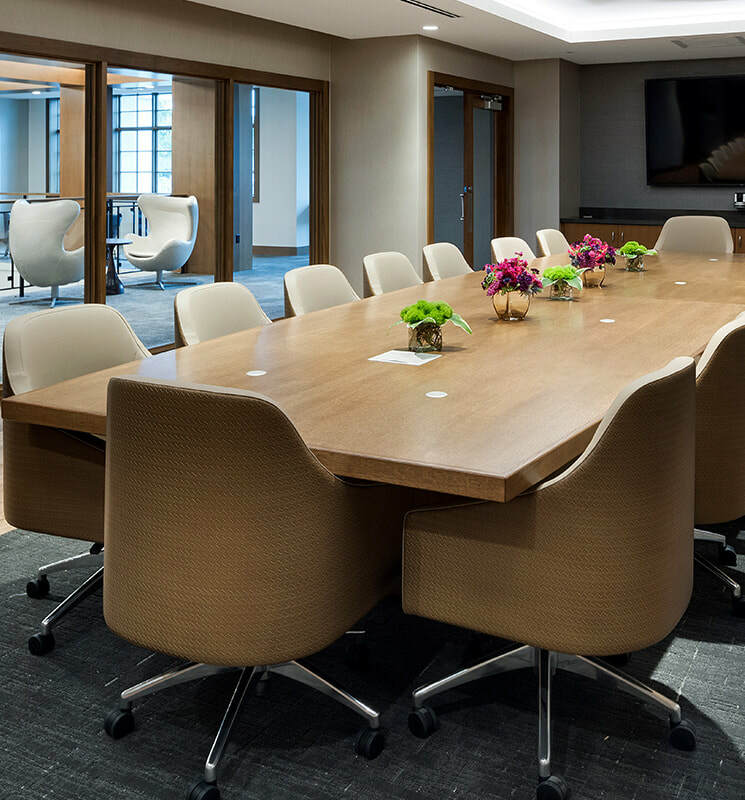 Accommodating up to 16 guests, this room is equipped with an executive-style board table and chairs and the latest conferencing technology. Measuring 863 square feet, the Meeting Room accommodates up to 58 guests or can be separated into a 441-square-foot room (A) and a 422-square-foot room (B) to stage smaller events. All venues feature flexible seating, Wi-Fi, dimming lighting and a high-definition LCD television. Our largest venue measures 2,710 square feet, with a total seating capacity of up to 226 guests. Two private balconies offer over 900 square feet of additional outdoor space and the Ballroom is also adjacent to a shared pre-function area ideal for cocktail receptions. Color changing cove lighting and flexible ambiance lighting make any event unique. A/V features include Wi-Fi, microphones, an audio system and a projector with retractable screen. *The Meeting Room, Wayzata Room and the Pre-Function Space can be combined as one space to be used for larger events.